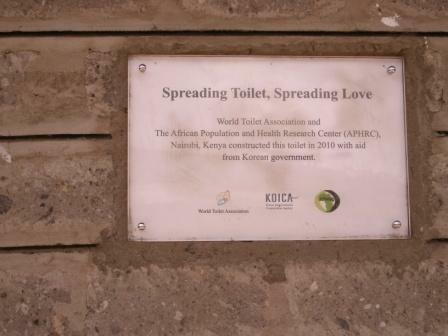 Report from ACORN Kenya for August 2012. 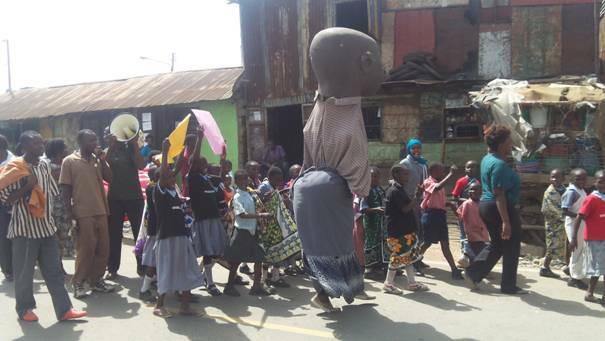 Korogocho Education Awareness campaign procession – few minutes before being disrupted by rioting angry youths. From the survey conducted by Acorn Kenya early last year Korogocho has got over 25 thousand school going children but amusingly only about half this number, (12 thousands) is attending school. What happens to the other half is still a great mystery to us. However majority of the parents don’t take their sole responsibility to enhance this legal right to educate their children. It’s in this regard that Acorn Kenya in partnership with other several organizations and the Local Administration, are inviting you to an education awareness campaign day which will be launched at Korogocho on 8th March 2012 starting from 9.00am. The event will start with a procession from St John’s Catholic Church and culminate with a sharing forum at the Chief’s camp. Your presence, participation and contribution to make this day a success will be highly appreciated. “UNITED TOGETHER WE CAN CREATE CHANGE IN KOROGOCHO” YES WE CAN! For more information, contact us or visit us in our office at Sanoda Building 3rd floor Room No. 9. Cc to Korogocho area Chief. We started the month of January with a lot of vigour as we tried to follow up the implementation of some of the recommendations done during the Korogocho education day we organized last year in the month of October. We started early in the beginning of the month by making interventions for the many young children who do not attend school to acquire their basic education. More than 40 children who have not been attending school have now been linked to various primary schools where they are currently attending their lesson. The main schools that we are working with closely through this programme are St. Clare Primary School, Ngunyumu Primary School and St. Prisca education centre. Another great achievement of our last year’s campaign is in the issuing of this year’s bursary funding. At least 18 students have been granted the bursary support of Kshs 5,000 each for their first term fees in various Secondary schools. We are also making the follow up with two Secondary schools which offer partial sponsorships to secondary students. These are Gureck Secondary School and Jitegemee Secondary school. Already we have more than 20 students willing to join the Secondary but they are lacking that financial support from their parents/guardians. In Gureck Secondary which is a boarding school, students pay Kshs. 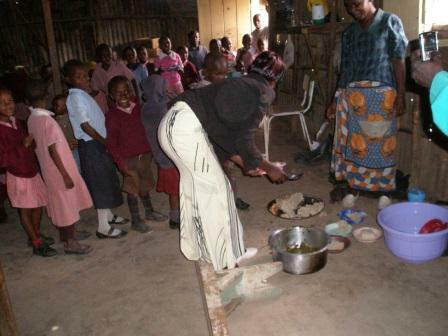 2000 every month While in Jitegemee Secondary which is a day school the students pay Kshs. 1,000 each month. We have negotiated with Principals in these two schools and they are willing to support the students that we will recommend to them towards the end of this week so that they can start their classes next week. We will be meeting with the two Principals on Saturday but in separate meetings. We hope that they will be able to accommodate these young people in their schools. Other activities on membership recruitment, leadership building and dues collection has been going on well although with a little bit of lower turn up. Sixteen new members joined the organization in the last one month, majority of them coming from the other villages of Korogocho. We held our first committee meeting this year towards mind of January and agreed to focus our campaign this time on creating awareness to all parents/guardians from Korogocho on the importance of supporting the education of their children. A lot of problems in education sector are caused by parents who do not take their responsibility in educating their children or even making follow-up on the progress of their children while in school. We organized a committee to look on ways to carry out this campaign and together we held the first meeting to discuss the matter on 22 January and agreed that this campaign will be launched on 16th February 2012 whereby we will have a big procession around all the 9 villages of Korogocho and finally gather at the Chief’s compound where we will have motivational talks on importance of educating Children from various speakers. Already we have been able to reach out to several important persons such as The Korogocho Chief, Fr. John from St. John’s Korogocho, Various Head teachers from Primary schools within Korogocho, The Principles of both Gureck Secondary and Jitegemee who happens to be, both pastors and Councillors,- among many others. Those approached have shown great concern and willingness to support the campaign. Our next meeting will be on Monday 6th February 2012 at our offices in Kariobangi from 2.00pm. The meeting started at 1000 hours with a word of prayer from the Imam of Korogocho Mosque. Brief introduction by the participants followed. Welcome remarks was made by Sammy Ndirangu. He urged all stakeholders to feel at home and be ready to actively participate to the day’s discussion whose theme was “Korogocho. A mirage or a reality; what’s the scene behind it”? David Musungu took members through a brief over view of ACORN Kenya Trust field operations and a brief profiling. Association of Community Organizations for Reform Now is an affiliate of ACORN International which was founded 43 years ago in North America by Wade Rathke as its chief organizer. The organizing drive took place in the low income and impoverished areas. 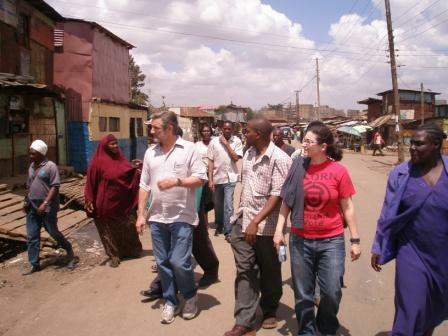 Campaigns were carried around poor housing, medical cover for the low income earners, remittance and poor wages. Other chapters are in Canada, Argentina, Dominican Republic, Peru, Czech, India, Italy, and Kenya. ACORN mode of organizing started in Kenya in 2009 in Korogocho specifically Kisumu Ndogo and Highrigde and the program was officially launched in 2010 by the chief organizer .While engaging the community myriad of issues came up among them, insecurity, water and sanitation, poor health, child abuse and wife battering, alcohol and drug abuse, unemployment and education. Education was prioritized for immediate action. In engaging these issues ACORN employs multi tactic and strategies, direct action and membership participation in policy and financing to achieve its goals and those of the community. Sammy Ndirangu took participants through the key highlights of education status in korogocho by giving insights of the first base line report that was conducted in November 2010. 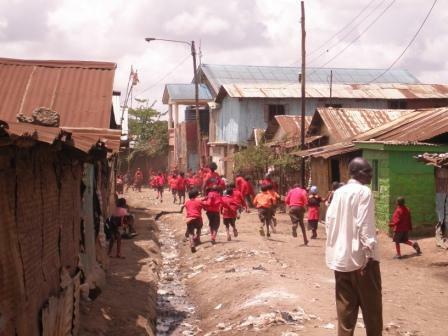 That korogocho has 34 schools only two are public managed by the City Council of Nairobi, these are Ngunyumu and Daniel Ngomboni primary schools. The rest are private and fall under informal schools. The total population of school going children was 11,317 almost a half of this number does not go to school. There are 340 teachers with only 182 trained. 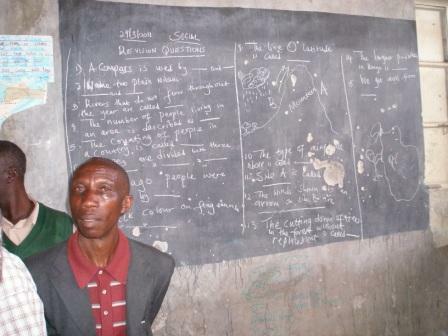 Only 5% of teachers in the informal schools are trained. Korogocho has no secondary school and no polytechnic or any other tertiary collage to accommodate drop out cases. The survey indicated that out of the total number of school going children 586 girls and 648 boys live under difficulty circumstances in terms of adequate meals and uniform. 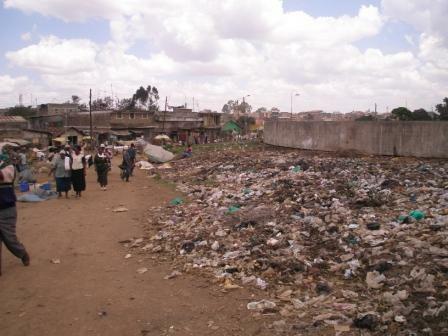 Children are forced to leave school early in order to scavenge in the Dandora dump site to make the ends meet. On the other hand young girls are encouraged by their parents/guardians to do prostitution to support their family. 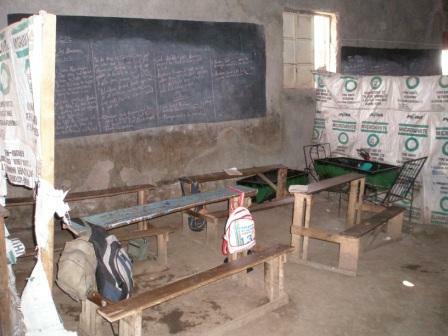 Three quarters of the informal schools lack basic facilities for normal learning. 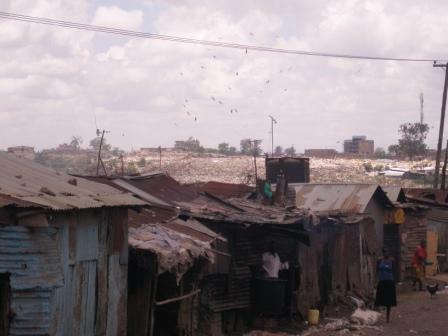 Most of the structures used as classes are poorly constructed poor ventilation, poorly light, no playing grounds and toilets are shared with outsiders. The survey further indicated that out of the total number of candidates who sit for the primary certificate of education, only 20% of them are able to advance to secondary school and 50% of the drop out of school later. While this is happening there is bursary funding in form of devolved funds that can arrest the situation. Majority of parents do not know their existence and those who are aware cannot access it. The second survey was conducted in February 2011 to get more data on the number of non going school children. More than 500 young people out of many others are willing to return to school should any opportunity arise; 70% of these young men and women are orphans while others are from single parent headed families. Out of 234 dropouts that were interviewed 8% had scored a mean grade B and above while 35% of them had scored above the averages mean score. This high level of drop out was attributed to high level of poverty among the house holds while poor performance attributed to poor learning environment, lack of teaching and learning materials as well as lack of qualified teachers. 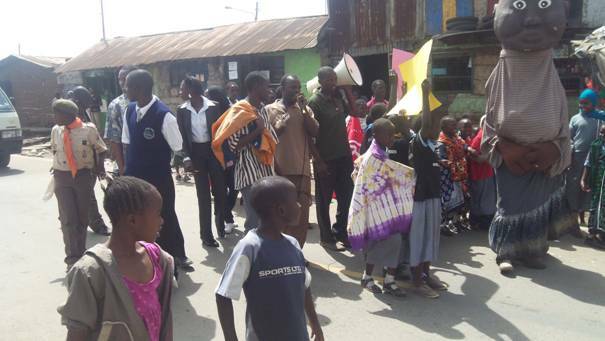 Before reactions from stakeholders, there was an entertainment from St. Johns primary children and Ngunyumu primary schools who presented songs, poems and skits. Stakeholders were argued to carefully look into education gaps that were highlighted in the report for a focused way forward. Moving the discussion forward, a representative from an Organization called Kesho asserted that issues mentioned in the report are directly or indirectly related to education. He said that an educated and well informed community can easily address their concerns and interns instill peace within the community. 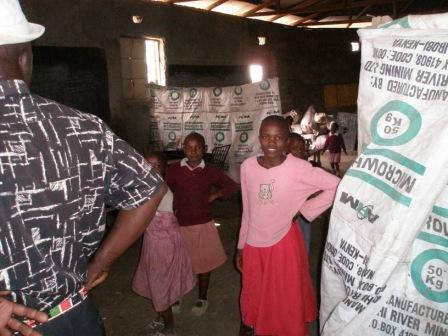 Parents from korogocho don’t actively participate in supporting education and hence advocated for sensitization. 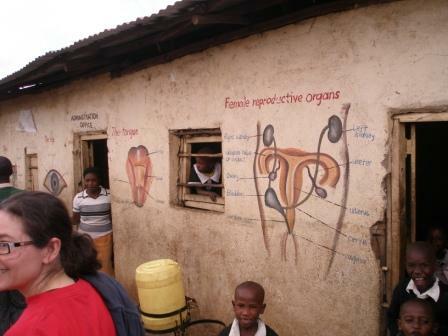 The community has been dis-empowered many by NGOs through handouts and lack of accountability and efficiency. The community does not take education seriously and hardly make a follow up of their children in school and home. 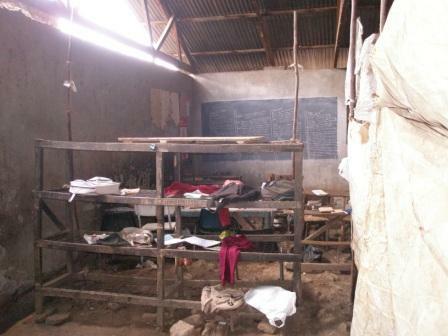 There is enough space in Ngunyumu primary school and yet children opt to stay at home. A campaign should be carried out for children to go to school. Alcohol and hard drug abuse is also alarming in the area. 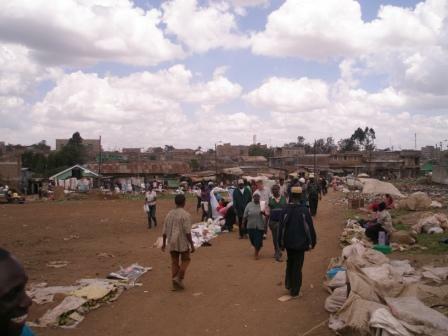 Many parents discourage their children for further education- and instead encourage them to engage in Jua kali (small scale business enterprises) sector. 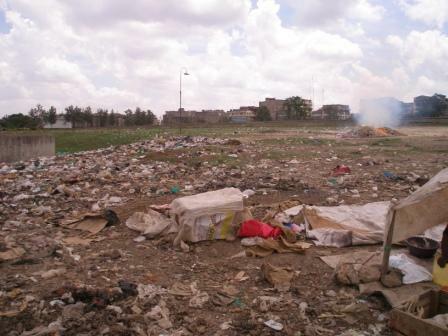 Dandora dump site has negatively impacted on korogocho children. Most of them leave school to scavenge there. Stake holders should come up with sustainable projects in education. There should be a unity of purpose in education. A strong need to make follow up in school by parents concerning the education of their children. There is lack of continuity in most of the schools as a result of poor payments. Embark on training and refresher courses for all teachers in public and non formal schools. To push the relevant ministries to establish a public secondary school in korogocho. To establish a vocational training centre to nurture the talents of the youth. Create more employment opportunities for the youth. 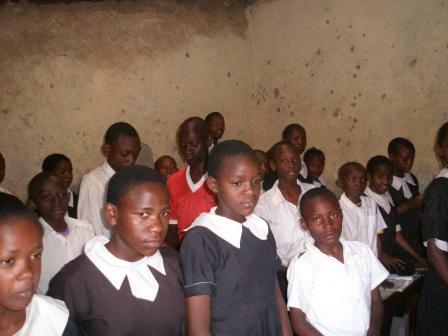 Initiate an education support kit to sponsor the bright children from poor families from Korogocho. – Establish an education committee to address aforementioned recommendations. The composition of the committee shall be drawn from the education stakeholders. – ACORN Kenya Trust to come up with a date for the stakeholders meeting. Vote of thanks was given by Pastor Paul Gathiru and a closing prayer said by the Bishop Wesonga from Kao la Tumaini Worship Center. Guests were served refreshment and then left at their own pleasure at 20:00hours. The aftermath of the education campaign has strongly shown a great impact to the people of Korogocho, who have joined the organization in big numbers. Organizing has been overwhelming, in the area now that we are receiving members from all the eight villages who are freely willing to join the group. However we strongly feel that we need a supportive team of organizers to enable us reach out to these village groups in an easier way. We are not sure of how to go about it but we have key persons from each of our working villages of Kisumu dogo and Highridge who now understands the Acorn model of organizing. Actually for them, they would require just some in-depth skills and dynamics in organizing and all will be fine with them. Thirty eight new members joined the Organization from different villages in the month of October. -Members to start contributing to the account before appealing to other well wishers by the end of October 2011. Most of the schools in the area have been closely liaising with our office on important information regarding education status in the area. This is as result of the big campaign that we carried out in the area. In terms of the tangible outcome of the campaign we have also been getting a lot of positive feed backs from different personalities, encouraging us and our work in the area. Again from the recommendations brought out during the campaign day we strongly hope that come next year we will be able to get few bright pupils’ from the very poor families sponsored in their secondary education in the area. Better part of the months was spent on identifying organizations and institutions that would be stake holders in the Korogocho education day which is scheduled to take place on 6th October 2011.That day has been marked to climax series of events and activities on education campaign. We still look forward to be with the Director of city education, District Education officer and the Municipal Education officer, the area Chief as part of the guests to grace the day. However other activities on membership recruitment, leadership building and dues collection has been going on concurrently. Forty new members joined the organization in the last one month, – a good number having been recruited from the other villages of Korogocho. Mapping of the groups to be invited. We meet with Father John of korogocho and agreed to give us the venue. Hence it is now confirmed that this event will take place at St. Johns Compound and we feel that this is a great step towards our organizing for this day. There is a very good arena and security here is tight for all those who will attend the event unlike in the open ground at the Chiefs camp. So far all the invitation letters of the organizations working in Korogocho, and other from outside but working in areas of Education have been given dispersed, and starting next week we will start doing the follow-up with the with them to know their position in regards to this great event. Others also who have been given the letters includes the Banks, Institutions of education, and companies like Safaricom Kenya. Orange Kenya, Airtel Kenya, Brookside dairies just to mention a few. We are also compiling the contact list of all old students from Korogocho- people who have become successful in their lives from the area, and can be role model to the community. 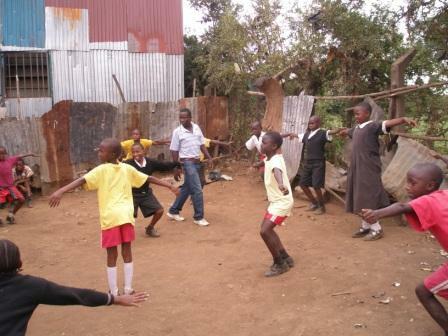 We believe they have a greater role they can play in bringing Change to the education status in Korogocho. Both villages held one membership meeting each for briefings and as a forum for the collection of monthly dues. The two villages have also held one organizing committee meeting each in preparation for the monthly membership meetings. 18 new members were recruited in Highridge and 15 new members in Kisumu Ndogo. They are all oriented to the ACORN mode of organizing emphasizing on dues payments as the backbone of the organization. The organization has developed and submitted concept paper to Agakhan Foundation, Equity Bank, Corparative Bank of Kenya, and Oxfam GB. 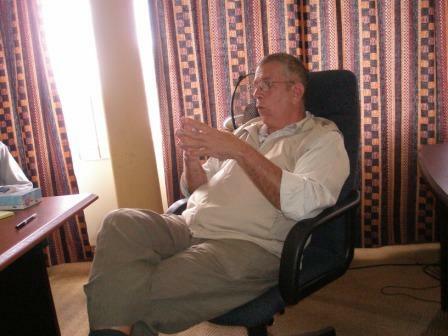 Rick of solidarity International is still supporting ACORN Kenya by paying the office rent. We have written a petition to be handed over to the permanent secretary of the ministry of education during his visit at GUREC centre where ACORN has been invited.GUREC centre is one of our partners in education campaign. It is in this school that we recommended 24 pupils from Korogocho who were out of school and now they are continuing with their Education. The event which will be marking celebration of the day of the African child, will take place on 6th of June 2011 at the school compound. Have collected twelve remittance receipts from our members and are working out with media houses on when to have a press conference before the end of this month of June 2011. 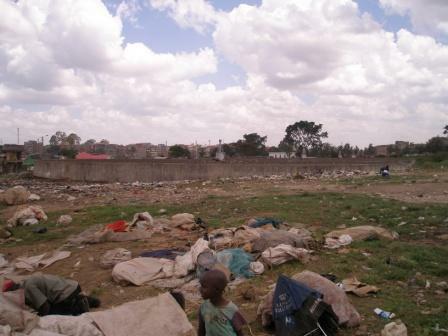 I live in the village of Kisumu Ndogo in the Korogocho slum in Nairobi. I am on the board of our local chapter. 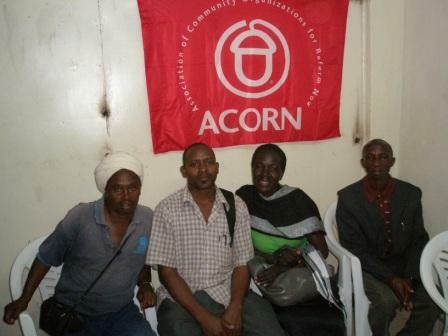 I joined ACORN Kenya in June 2009. I heard about a meeting about education and went to the meeting. After the meeting I talked to one of the organizers and joined because the education campaign was going to help the entire community. With our education campaign we are fighting so that our community can access the government bursaries that are suppose to support poor parents that can’t afford school fees. My 11 year old son use to attend an informal schools, we had to pay 300SH for school fees plus 10sh a day for food, plus 70 shillings for each exam they write, plus books. I didn’t receive and bursary from the government. 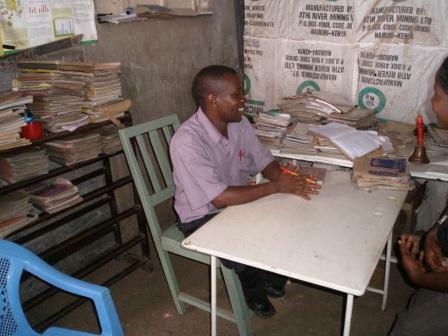 Through ACORN I realized that I needed to have my son in the formal schools so he can access higher education. But the fees in the formal schools are even higher. ACORN helped me apply for the bursary to cover the fees. I was able to apply because ACORN members fault and won a new structure of dispersing the application forms from the bursary committee. The bursary committee now has people right in korogocho that distribute the forms. The fees for the formal school include 500sh for admission, plus 500sh for a desk, plus 750sh a year for food, plus books. I am waiting for the bursary right now. With ACORN we need to grow as an organization and need more members so that we can be even stronger! Ridge above the Korogocho villages of Kisumu and Highridge. 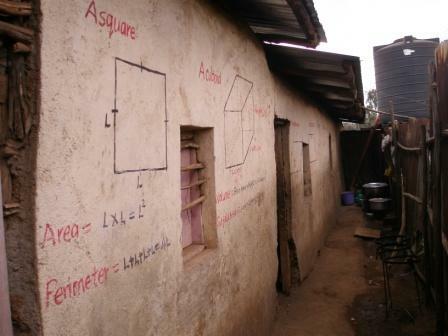 One of about 43 informal schools in Korogocho. Visiting “Big Ben” – an informal school.